In India, cooks choose from a selection of just-the-right spices to create each individual curry blend. You can do the same, when inspired and time permits. But you can also rely on one of these Curry Powders to create authentic Indian fare any time. A spicy blend used in meat and vegetable dishes. 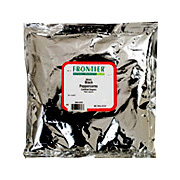 Muchi Curry Powder is shipped in a discrete, unmarked package. Orders are processed immediately and usually take about 3 to 5 working days to be received. We do ask that you try it for 2 to 3 weeks to feel the full effects. Any information received is used only for order processing and shipping purposes. Your information, such as e-mail address, will never be disclosed to a third party.